Did you get President's Day off from school? I watched a show about the presidents. Did you know that George Washington was the only US president who did not live in the White House, even though he helped design it? Courtney, there is no exact publication date of Leprechauns Don't Play Basketball, just the year and month. Skylar, I'm not sure what you wanted, but feel free to ask me a question here. Denisse, I'm glad you liked Happy Haunting. I became an author by writing stories and luckily getting them published. I just kept trying. Claire, I'm so glad you liked Cupid Doesn't Flip Hamburgers. My favorite part is the anti-love potion. Dienije, Marcia and I write together using the hot potato method. One of us will start and then we toss the story back and forth until we finish it. 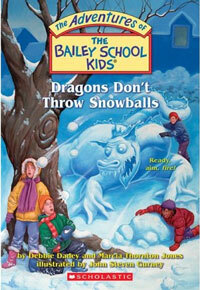 Brandon and Ethan, the newest Bailey School Kids book is Dragons Don't Throw Snowballs. Happy Saint Valentine's Day (coming soon on Saturday), so if you haven't made your mom, dad, or someone a special card it's still not too late! 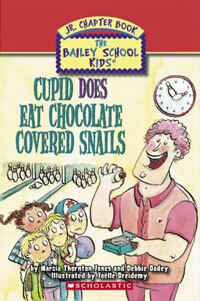 I must like Valentine's Day because I've written several books about it, like Cupid Doesn't Flip Hamburgers (love the anti-love potion) and Cupid Does Eat Chocolate Covered Snails (what's not to love about chocolate covered snails?). Ashley, I'm glad you love my books. Thanks so much for writing. A big howdy to Lexi and Hanna, stay cool and hope you get some chocolate for Valentine's Day. Jamie, it will be great to see you and your sister in April. You must be an amazing reader. I think Harry (in Snow Monsters do Drink Hot Chocolate) could do his cool tricks because he practiced a lot. Vivian the Great, I'm not sure if the world is ready for a biography of me, but I did have great fun writing The Slime Wars with Nathan. He's a totally cool son. 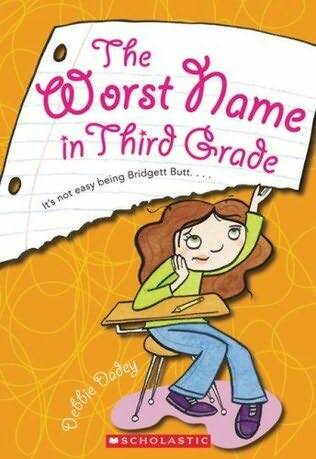 Did I tell you my daughter, Becky, and I finished the book we wrote together? It was rejected, so we rewrote it. I think it turned out totally fabulous so I hope we sell it. It has several different titles, but one is Invisible. Lily, Mrs. Jeepers house is haunted don't you think? Liza played the saxophone in Skeletons don't Play Tubas. 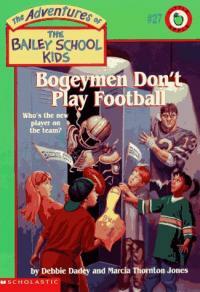 Jason, I'm glad you enjoyed Bogeymen Don't Play Football. Did you see me watching the game? I'm sitting in one of the crowd scenes with Marcia. Wow, two days in a row. That must be a record for me. Just had to say hurrah for the Steelers and boo for the groundhog. The groundhog said that we have to wait six more weeks for spring. I'm ready now! Alex, to answer your questions:1. How did you and Mrs. Jones meet? We taught at the same school. 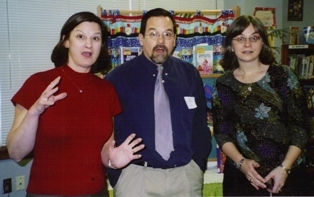 The picture here is of me, John Steven Gurney, and Marcia acting scared. It was taken a while back. 2. What city and state does she live in? She lives in Lexington, KY. 3. Do you know any childhood struggles she had? Marcia was the youngest child, so that was tough sometimes. 4. How do you two come up with ideas for the books? We get ideas from everywhere, even the newspaper. 5. How often do you two meet up to write books? We usually write via the Internet and only see each other a few times a year. 6. Who are some authors that you two looked up to when you were young? Beverly Cleary and Winston Rawls 7. What keeps you two attached to writing? Anything can happen in a story. What makes reading and writing so fun? Again, anything can happen in a story and you can go anywhere and be anything! Anyone watching the Super Bowl tonight? Of course, I'm rooting for the Steelers since I live in PA. I'm also hoping the Groundhog cooperates this week and doesn't see his shadow so spring will come. I'm ready for warmer weather. How about you? I feel sorry for my mom and brother in KY. This week they were without power for about four days. I think we get used to life with electricity. What a shock to have no computer, no TV, and no heat! and Roll. In fact, we were on such a roll that we wrote it in about a week! Nikki and Riley-thanks for writing, you guys rock! Nikki, my daughter and I are working on a story about good girls and bad girls. I hope it gets published, I think it's fun. Jaeda, the inspiration for the first Bailey School Kids book came from a bad day at school. 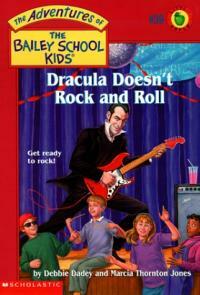 We thought if we were monster teachers, all the kids would mind us! 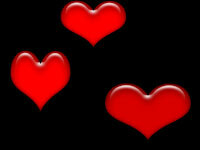 Vivian, I've been to Las Vegas a few times, but I live in PA.
Wow, this month is zooming by. My kids and I painted at the Senior Center near us on Martin Luther King's birthday. I hope the Seniors there like pink (okay coral)! A big hello to Nikki, I'm glad you liked Wizards Don't Need Computers. Of course I'd love to visit Canada. I've only been there twice. Once to Niagara Falls and once to Vancouver, after an Alaskan Cruise. Shaye, you sound like an amazing reader. Do you have a favorite book? Michelle and Veronica, you can write me snail mail at 557 Broadway NY, NY 10012. Courtney, I can ski but I think I'll stay away from snowboarding. I hope you had fun and best wishes with your writing. 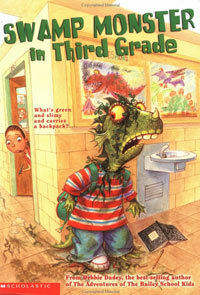 You might like to try the Scholastic website for their writing contest.